Including special safety and ATEX types. These industrial cooling products are the result of many years of experience combined with a wealth of knowledge from within the field of fluid and transmission engineering. 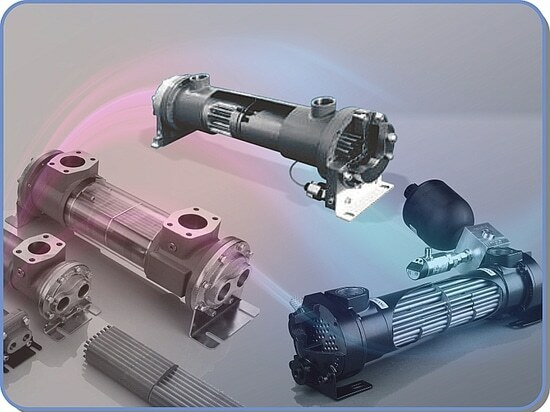 Thanks to the standardisation of individual components, technically sophisticated solutions are available at a highly competitive price/performance ratio. The standard BNZ series offers four shell sizes with available lengths of up to 2100 mm. We also offer tailor made solutions for the most arduous applications and according to customer specification. BNZ coolers are suitable for all industrial and marine environments. 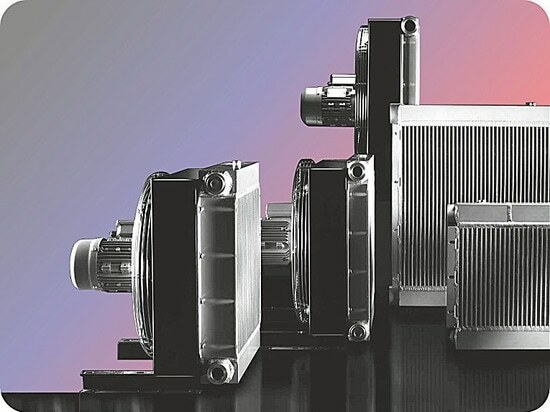 The BAMNZ is a series of compact heat exchangers with a fixed tube bundle, which has been standardized into logically grouped models with a heat-exchange surface of from 0.43 to 40 m2. The models comprise basic units, each divided into two versions (narrow/wide baffle spacing), each also available as a 1-pass version, 2-pass or 4-pass version. 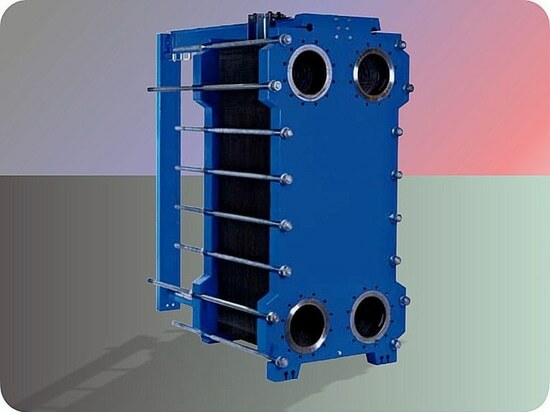 The new oil/water safety heat exchanger BAMNZSC which, by means of a double tube, prevents the danger of mixing the cooling and the to be cooled medium. The space between the two tubes is filled with a sealing liquid. A pre-charged diaphragm accumulator compensates the thermal change in volume of the sealing liquid and keeps the sealing liquid pressure almost constant. Any leaks in the bank of tubes are indicated at once by the pressure switches. These two characteristics, the pre-charging of the system in connection with the min. and max. pressure monitoring, guarantee an independent operating pressure for the cooling medium as well as the liquid to be cooled. A special liquid enables optimum heat transfer. It is frost-resistant up to -30°C and, at the same time, safe with foodstuffs. Other liquids available on request. The following data will be required to correctly specify cooling components for your application: oil inlet temperature, oil volume, oil specification, volume of water, water inlet temperature, cooling performance. At jbj Techniques our technical staff will be happy to assist in the selection upon receipt of the required information. Compact design, robust construction, extremely low pressure drop, high quality materials and ease of maintenance are the prominent features of the NewCool® shell & tube coolers.